Amazon has been doing a great job with getting Alexa into the hands of customers. Although its Fire Phone crashed and burned, Alexa is the leading voice assistant in the smart speaker space. However, clearly Amazon wants to get back in on the smartphone action is releasing a new version of its Alexa app that now also has its assistant built-in. Previously, the Alexa app just allowed you to manage Amazon’s suite of Alexa-powered devices. 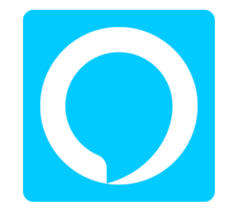 Although the Alexa assistant has been built into smartphones like the Huawei Mate 9 and the Motorola X4, this is the first time that it has been made more widely available to other devices, even if it is isn’t integrated on a system-wide basis. Instead, you will need to launch the app to access Alexa. It will work in a similar to the way that Google Assistant works on the iPhone. Launch a Google app like Google Now on iOS and you can use Google Assistant instead of Siri. This time Google’s territory is being invaded by Alexa. iOS users will be able to give Alexa a go on their iPhone in the coming weeks, while Android users can look forward to the update rolling out in the coming days.